The Rubber Cafe Design Team Blog: A Teabag Holder Card! 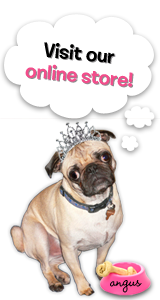 Hello Rubber Cafe' fans! Hope your week is going well so far. At my house, I am suffering from winter allergies. You know runny nose, scratchy throat and weepy eyes. Nothing a nice cup of tea wouldn't fix, right? Well here is a card I made that not only is a card but it is also a tea bag holder ....so its the perfect card for someone who is feeling bad or down. You could give it to that special person and join them in a nice cup of tea while you chat! 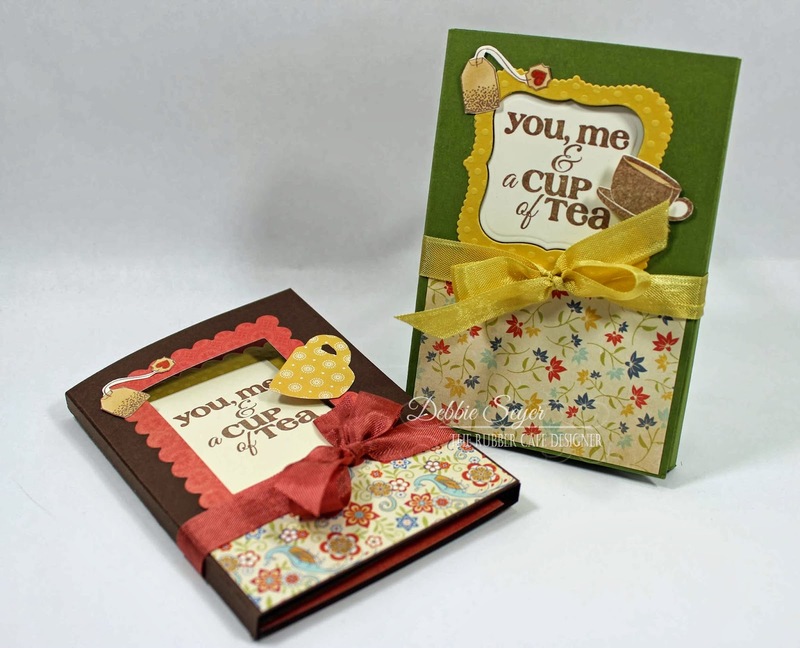 To make this Teabag Holder card, you will need your February Creative Cafe' Kit of the Month - Tea for Two. Plus you will need some rectangle or square shaped die templates or punches. To make this Teabag holder, start with whatever color cardstock you want from your kit. I made one out of the brown and one out of the green, there are so many nice colors in this kit! To begin, I cut the cardstock to 5" x 11" and using my Scor-Pal, at 3 ½”, 3 ¾”, 7 ¼” & 7 ½”. Here is what it looks like folded up. There is plenty of space for your teabags inside the card! Now its time to make your "window" on the front of the card. For the green card, I used Spellbinder's Labels One die template, but for the brown card I used Classic Rectangles die templates. Here I have used the same size Labels One to cut the window of my card and to cut the sentiment. I stamped the sentiment first and then cut/embossed it. Next cut a frame to go around your window on the outside of the card. I used the same size Labels One for the inside of the frame and a bigger Scalloped Labels One for the outside of the frame to make it more decorative. Using Scrap Happy Sheer glue, adhere your patterned paper and frame into place. This is where the Tiny Detailer tip comes in super handy for your Scrap Happy Sheer Glue! Here is the first page of your holder - right when you open up the card. You will need to put the sentiment panel on this page. Adhere everything into place except your sentiment. Close the front page and glue your sentiment into place thru the frame you made. That way your sentiment is "just right"! Now for the inside - to make the teabag holder you just cut a piece of patterned paper to fit and use 1/4 " Scor-Tape on three sides leaving the top open, like a pocket. See how I did it? Here is my completed teabag holder. I used some of the yellow seambinding from the kit to tie it all together. I stamped the tea bag and the cup, then fussy cut them out and adhered them into place. Here is the inside all fixed up! This is a fun project! I am sure you have some fancy tea bags around your house but we are straight tea drinkers around here! So cute! What a fun little gift to pick someone up! So cute....I love those little "surprise" cards.....you did this one up so cute!